Inside Civil 3D Autodesk uses the common names and terms for civil engineering and survey stuff. However, Civil 3D Features (collected programming objects that work together) can and do behave quite differently from old school CAD objects. We all stumble over this Civil 3D reality a bit. Last time we talked about Civil 3D’s outwardly convoluted mechanics of Point Style editing and the four-part resolution of Point display. See that Civil 3D Point Edits post and video. Civil 3D is much more capable, adaptive, and robust. Civil 3D comes with the need for an increased level of systems management accountability. That accountability is both personal and corporate. Do Civil 3D Templates Help You Dodge Those Bullets? That depends on the quality of the templates (there is always more than one) and the systems you employ to manage the changes that will always occur within them. 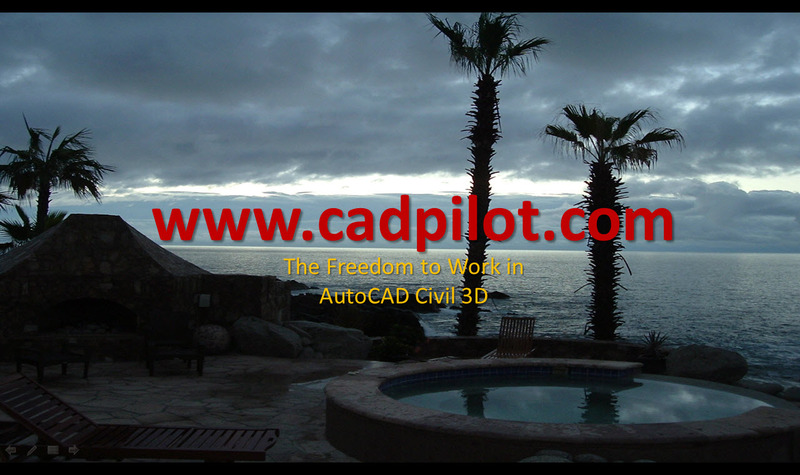 In truth, the Autodesk tool makers dump most of the problem on the Civil 3D user. The managed systems, resources, and structures supplied in the Framework for Civil 3D do help rectify the challenges. Even those powerful Framework for Civil 3D capabilities cannot absolve the personal and corporate change management accountability. They can significantly reduce the man-hours you and your organization spend at the change management accountability. Whether we like it or not, the Alignment inside Civil 3D does a lot more than provide the classic horizontal control for linear structures. Autodesk arguably made the Alignment and Corridors the most powerful set of tools available to skilled Civil 3D users. The 2018 Connected Alignment Curb Return Alignment type and some uses beyond the obvious in Civil 3D design. The practical issues of Offset Alignment and Offset Profile creation and use - More on Connected Alignments too. Why and How Multiple Dynamic Baselines change both the mechanics and iterative results of Corridor modelling in Civil 3D. Do slope controlled Offset Profiles work with Superelevation? Includes a video with complex Assembly demo.